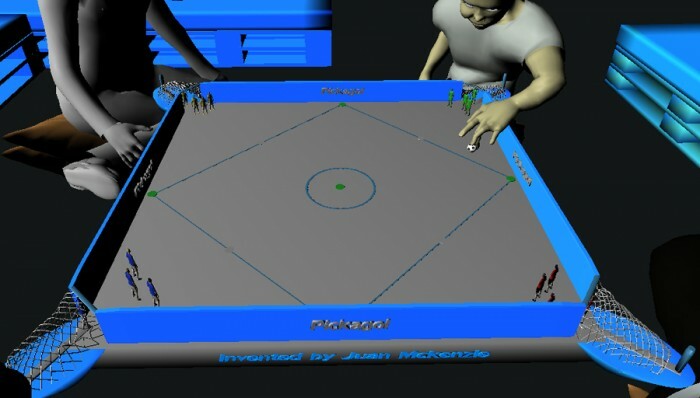 Pickagol is a fun and entertaining soccer board game capable of allowing four people to play at one time. 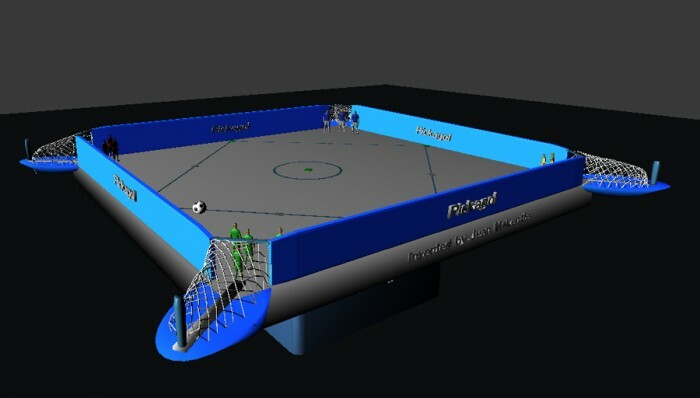 The playing field features four separate goals in each corner of the board, offering endless hours of fun and entertainment for family and friends. 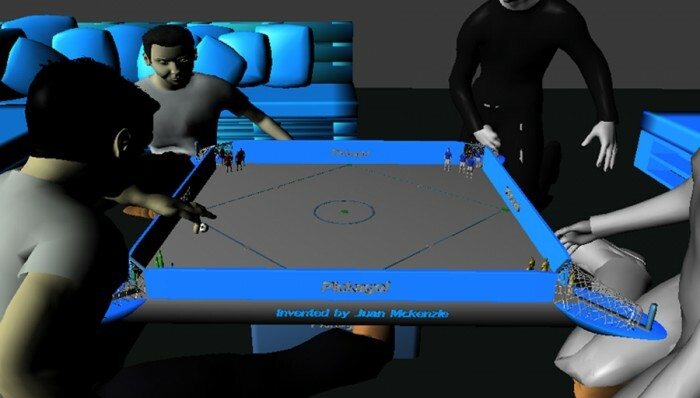 Provides individuals with a highly entertaining soccer board game designed to be played with two to four players at once. 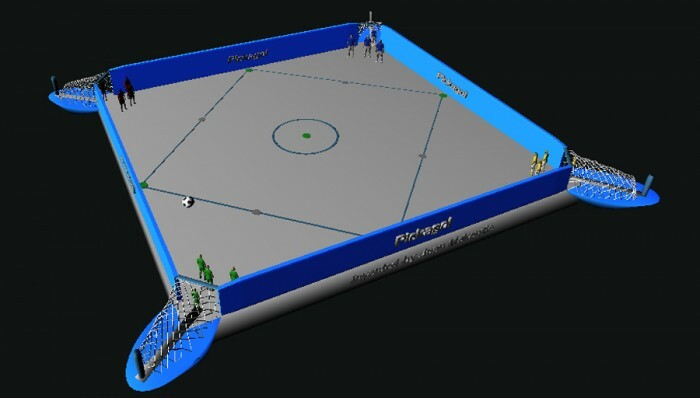 Includes four goals in each corner with each goal capable of being defended by three magnetic player units controlled by the user. Utilizes magnetic playing pieces which enable players to seamlessly move their game tokens around the board in an attempt to score goals. Allows more family and friends to be involved with games played at social events such as birthday parties, picnics, and other gatherings. Eliminates the worry of individuals, especially smaller children, becoming bored at family and friends events. Some board games can be uninspiring and unentertaining. Some of these games, such as table tennis or foosball, may only be played by two people. Guests at family gatherings, birthday parties, and other social events may feel left out if only two people can play a game at one time. Further, some board games may become extremely stale and boring after a short amount of time. Page created at 2019-04-26 5:58:27, Patent Auction Time.